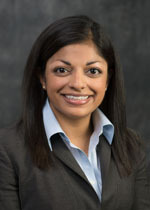 Monica B. Reddy, MD - Colorado Allergy & Asthma Centers, P.C. Dr. Reddy joined Colorado Allergy & Asthma centers in 2016. She is board certified by the American Board of Allergy and Immunology and the American Board of Pediatrics. Her passion is clinical medicine. She believes that the foundation of the doctor and patient relationship is effective communication. She works together with her patients to formulate an effective treatment plan, and practices evidence-based medicine. Dr. Reddy graduated from the Case Western Reserve University School of Medicine in the Alpha Omega Alpha Honor Society. Her residency at the University of Colorado was followed by a fellowship in allergy and clinical immunology at National Jewish Health in Denver, Colorado. Dr. Reddy has been actively involved in multiple local and national medical societies. She is an active member of the Colorado Allergy and Asthma Society, American Academy of Allergy, Asthma and Immunology and the American College of Allergy, Asthma and Immunology. Dr. Reddy lives in the Denver area with her husband. In her free time she enjoys hiking, skiing, and spending time with her friends and family.